Ever gone to a new housing development and gone “I really like that this house is exactly the same as the one next door.” Or “I can’t wait to see the other three options?” Nope? Neither have we. A house should be as individual as the person that owns it. While some may like the idea of being in a community where everyone’s house/yard/tree looks exactly the same, it isn’t for everyone. That’s why many people opt to buy house plans and build their own castle rather than go with a planned development or community. Not having the same shade of aubergine as the house five doors down is nice. And being able to add in a workshop or in-law suite where you want it is great. Now imagine your house being a completely different style. Like colonial but live in Alaska? Live in Texas but not a rancher at heart? No problem. With Monster House Plans, you can access any of our over 23,000 house plans to find the one that fits your dreams and your budget. Ordering a house plan from us is as simple as point and click. Hop on to our Monster Search; choose the plan type you want (single family, duplex, etc. ); select your foundation type (basement, crawlspace, pier, etc. ); optimal square footage; desired style (Georgian, Mediterranean, Victorian, and more); and whichever add-ons and features you want, and see what we have available. Love the sweeping grandeur of Gone with the Wind? 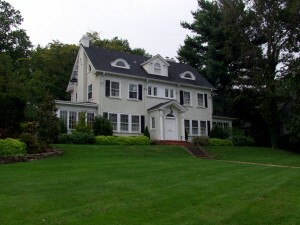 Take a look at our selection of plans with grand entrances and plantation-style houses. Once you find the one you want, just head to the check out and once it is processed we will ship it directly to you within 1-2 business days. But why buy a house plan when you could have a custom built house? On average, buying a house plan means saving approximately 80% of what it would cost to hire an architect, and while these houses are really cool, not everyone can afford an architect’s fee. As well, with our cost-to-build software, for a small fee, we can estimate for you what it will take to build the home of your dreams, which means fewer surprises for you down the road. Not to mention, our plans can be customized to meet the zoning requirements of the area you live in, so there is no worry about your house not being up to spec. Buying a house plan is an affordable way to create the house you’ve always dreamed of and with the Internet and companies like us, it is easier than ever to find that style that speaks to you. Cookie cutter houses and carbon copy developments are not for everyone, and the best houses are those that truly feel like they are your home. Choosing to buy a house plan gives a person the freedom to choose how they want to live, with none of the restrictions of planned communities. So be unique, and see which style tickles your fancy. Log cabin in Sarasota, anyone? 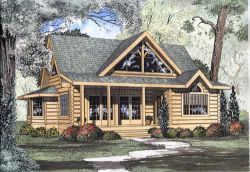 This entry was posted in House plans on August 14, 2013 by HouseplanGuy. Many small children spend their time looking around, examining, wondering and thinking about their surroundings. Sometimes, it is merely: “My, these walls are tall and that ceiling is far away.” And sometimes it is along the lines of: “What is between the ceiling and the sloping roof that is above the ceiling? I know where the ceiling ends in conjunction with the outside view of my home, and from the outside I can see the shape of the roof and where it starts, and from there I may deduce that the ceiling is not an accurate representation of the space in my home…so what really is between the ceiling and the pointed top of my roof?” Well, as many children later learn, this would be the attic. The attic is a common feature in many house floor plans, though depending on the culture, fashion and utility, the attic may not exist at all! For one, the utility of an attic depends largely on the climate of the region in which it is being built and will be shown in the house floor plans being used to build one’s home. 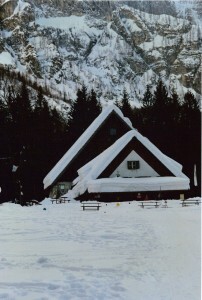 In snowy climes, where winter reigns often throughout the year, one may often see steep steeples on almost all the homes in order to prevent snow from piling up and collapsing the roof (much to the detriment of many people inside). While hot air rises, it will always pile into the attic and diffuse into the air around the house. To prevent this, every good house plan will include placement of turbine ventilators or exhaust fans and total area of the attic ventilation must be equal or greater to 1/150th of the floor area of the attic, with at least half of those vents in the upper half of the attic. This prevents the buildup or moisture and heat so that mold growth and wood decay does not occur as fast. Never thought an attic could be so complicated, huh? Enough about attics! The main purpose of house floor plans are to give the builder, consumer or renter a sense of what they are, quite literally, getting into. 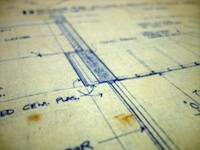 After all, a blueprint for a house could be completely nonsensical, if being contrived by an amateur. And attempting to read a blueprint could be a very confusing task for the uninitiated, though given time and a little thought, any amateur could discern a doorway from a wall! The point is that while there are oodles of house plans to choose from, there will only be one in which you will live with for a very long time (unless you are a builder or someone who is building properties to rent). Assuming you are building your home with the intention of living there for a very long time, you should really do the research into which house floor plans will work for you. No matter what house floor plans you are considering, we have a variety to choose from, for a variety of locations. This entry was posted in Home Floor Plans on August 14, 2013 by HouseplanGuy.